Labor and management agree on unemployment insurance relief for steelworkers. 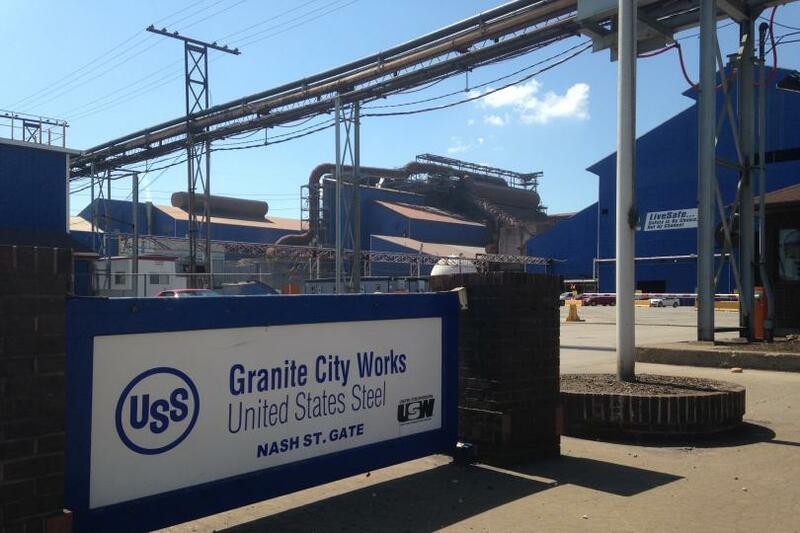 Affected could be up to 2,000 workers at the Granite City Works. The mill complex makes hot-rolled sheet steel, which is used in furniture, appliances, oil and gas drilling, and many other uses. Declining prices for hot-rolled sheet steel, and accusations that massive quantities of steel are being illegally dumped by China and other Asian countries, have led to the partial shutdown of this mill and the layoff of most of its workers. SB 1941, approved by the Illinois House on December 1, grants emergency relief to Granite City workers who have been laid off. Most or all of them have exhausted their unemployment insurance (UI) benefits, and SB 1941 grants extended benefits to most of them to enable their ongoing search for new employment. In most cases, this measure will grant 26 weeks of additional unemployment relief. The bill was approved by both labor and management entities that keep watch over the financial solvency of the UI trust fund. The House vote on SB 1941 was 107-2-0; the Senate concurred with the House amendment and sent the compromise measure to the Governor’s desk.